As John Steinbeck famously wrote, the “best laid plans o’ mice and men often go awry.” Which is exactly the situation the world’s most evil organization, the U.S. Federal Reserve, faces at tomorrow’s FOMC meeting. Since then, a highly choreographed, historically heavy-handed scheme of money printing, market manipulation and propaganda has been utilized to “create” the perception of recovery. Essentially, TPTB have attempted to “engineer” the desired result of stronger economic activity through unrelenting support of “favored” markets like equities and real estate – whilst viciously attacking “unfavored” ones like precious metals. In doing so, they hoped to gradually wean the stock market (and their $4+ trillion balance sheet) off record low interest rates – via the eternal “hope strategy” of praying the economy “grows” into its debt. 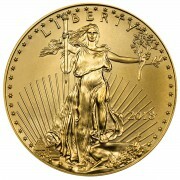 Unfortunately, the global economy is far too complex to control; particularly when the very act of trying to do so causes horrific unintended consequences – such as, for instance, the explosive currency volatility we four months ago deemed “the single most precious metals factor imaginable.” Moreover, as the global economy reached debt saturation long ago, no amount of new credit can positively impact economic activity; and worse yet, five years of massive, unfettered credit creation has created such massive economic dislocations – like shale oil, for instance – that the resultant bubbles could only be deflated via dramatic price declines. Frankly, it didn’t take long for this “scheme” to go awry; as not only has global economic activity dramatically contracted, but by the end of 2013, U.S. interest rates had already peaked – commencing a year-long plunge that has the benchmark 10-year on the verge of having a “one-handle” this morning; as indisputably, the entire world is becoming aware of the “most damning proof yet of QE failure”; i.e., plunging interest rates despite the Fed-purported, economic data-cooked assertion of “recovery.” And sadly, as ugly as the U.S. economy has gotten, the “non-reserve currency” nations of the world – i.e., all others – are in far worse shape as the “flight to safety” resulting from fears of a “2008 redux” has caused the dollar to explode higher; and consequently, global economic activity to collapse. Thus, this Fall’s historic oil price collapse – to $54/bbl. as I write Tuesday morning – is but a symptom of all the aforementioned issues. And thus, to believe it will resolve any time soon – that is, before an economic cataclysm equivalent to 2008’s mortgage crisis – is just wishful thinking, we’re afraid. And sadly, it seems, the Fed has “used up” all its wishes. This past week has been perhaps my busiest since joining Miles Franklin in October 2011. Demand for podcasts is growing exponentially – I’m taping six this week alone – and just trying to keep up with the unrelenting explosion of global “horrible headlines” has been a 24/7 job. Plus, even I have never seen such relentless, merciless Cartel, PPT, Fed and ESF market manipulations; as clearly, TPTB are well aware their aforementioned “scheme” is collapsing. Tomorrow alone, they must “counter” the potentially scheme-destroying impact of the FOMC meeting and Greek snap elections; let alone, a host of other “black swan” candidates – from the inexorable oil price plunge; to the collapse of the Russian Ruble; to the aforementioned historic currency volatility that is destroying lives at a rate not seen since World War II. As for PMs themselves, I thought I had “seen it all” when witnessing the epic paper raids heading into last month’s Swiss referendum; which not only caused historic physical uptake, but turned both gold and silver forward rates “upside down.” The “pinnacle” of such raids took place in the ultra-thinly traded half-day following Thanksgiving – gee, what a “coincidence” that the referendum was scheduled that weekend – when gold, silver and mining shares were mercilessly “bombed into the stone age.” However, when I saw yesterday afternoon’s “repeat performance,” it couldn’t be clearer how desperate the Fed was to prevent the “Yellen Reversal” we predicted three months ago from being necessary at Wednesday’s FOMC meeting. In fact, per last week’s “desperation tutorial” and “supplemental Cartel manipulation proof” articles, the past four days’ attempts to prevent PMs from re-asserting their historic “safe-haven” status have been as “2008-like” as we can recall. However, yesterday’s farce literally “took the cake” – as the morning’s strong PM out performance suddenly became a PM bloodbath at EXACTLY the 12:00 PM EST “cap of last resort time”; despite, as was the case Wednesday, Thursday and Friday, oil and equities closing at the days’ lows. And speaking of “unintended consequences,” to watch mining stocks collapse like Fannie Mae, Lehman Brothers and AIG is truly breathtaking. This is why I started screaming to avoid them like the plague nearly four years ago, and why the PM production collapse we have long forecast is as “set in stone” as “QE to Infinity.” And talk about a “perfect storm” hitting the Federal Reserve like a ton of bricks – of record physical demand, and collapsing supply! Anyhow, as I write at 9:00 AM EST Tuesday morning, the 10-year Treasury yield has collapsed to 2.04%, after having touched 2.02% earlier. Stock futures are down sharply, although of course the PPT has brought them back from the lows despite, as I write, WTI oil sitting at its low print of the day, at $53.68/bbl. Gold and silver have been “Cartel Heralded” multiple times already, but both are up sharply. 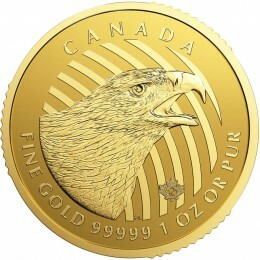 Would it surprise you that gold’s high trade thus far was at exactly Friday’s closing level of $1,221/oz. ; achieved at exactly the COMEX open; via the aforementioned Cartel Herald algorithm, – which, thus, also doubled as a prototypical DLITG or “don’t let it turn green” algorithm? And thus, we ask, how can anyone not consider protecting their financial assets with physical precious metals – given an historic supply/demand imbalance on the verge of going nuclear? In our view, once “gold fever” takes hold – as undoubtedly, is occurring in Russia, Japan and other hyper-inflating nations as we speak – Miles Franklin will no longer be able to supply any metal to hopeful buyers. I love your writing style Andy. And, in following your blog, and seeing that same cartel herald algorithm pretty much every day, the repetitive and overt nature of the patterns is just brazen. Nonetheless, we do seem to be in a period of flux; hopefully this is finally the start of when the whole rotten edifice crumbles. For much of the world, it’s been crumbling dramatically. Here in the States, at a slower pace – but crumbling nevertheless. I believe 2008 redux is upon the world, it’s just a matter of time before TPTB lose control entirely. Only the when and how remain to be seen. Andy: apparently you and I agree on mining stocks. They still represent “paper” PMs. The Rule of Law does not exist anymore, and because it doesn’t, I see an ongoing concerted effort by the banksters and their sovereign puppets to inflict as much pain as possible on the miners, so that they can be a future part of the Rothschild et al portfolio. Also, when the day of reckoning, or price reset comes, I would not put it past PM mining countries to nationalize, expropriate, or place egregious taxes on all mines within their borders. In fact, with the NDAA, the USG has already de facto done this. Yes, I have a lifetime’s worth of experience with miners – both owning them and working for them. The sector hsa been destroyed by the Cartel; and when prices take off, they are guaranteed to be nationalized and windfall taxed. Andy…you are one of the best at providing a detailed supported opinion of the situation from day to day. I too love your writing style and I truly believe that you are 100% committed to getting the truth told. I remember so well first hearing last year that the Major bank brass had been summoned to meet with the President, and I remember like it was yesterday saying to my wife…something BIG is about to go down. What I did not know was that this meeting would lead to what we have witnessed this last year. There will be many history books written on this no doubt. I wonder if those books will have more truth than some of the previous history books written. In any event HISTORY is being written daily. Yes, nearly everything transpiring is historic- and terrifying. And right on the Money, (excuse the pun) I have been listening to your podcasts and interviews for a few years now, and I want you to know that you were one of the only people I could rely on to keep me properly informed and on message. I bought Silver at $35 and I mean a lot of it. To watch it drop to $16 made me do a lot of soul searching. I read prelificly and was not expecting quite such a roller coaster ride between my self doubt and common sense in what I was reading. As you know there are many different opinions out there, some informed, many not. Some deliberately misdirectional and some hopelessly misguided. I used to have to wait for your Monday chat with Kerry Lutz to get a shot of sense after watching the crap kicked out of PM’s after the Friday close. We are about to have our day Andy, and I want to thank you for your relentless efforts to help everyone stay the course of this bloody horrendous journey. I for one tip my hat to you. Much appreciated, it’s for people like you that I love to write! Yes, the “game” will end eventually; likely, sooner rather than later. I for one would really appreciate a daily podcast or at least 2-3 times a week interview with either Kerry or Sean at SGT. Reason being the velocity of events is so high now, and I for one have to listen a lot of the time while doing other stuff because I just can’t donate that much time to reading all the relevant articles. I’m sure there are many others like me who listen while working and would find this useful. Before this really wasn’t an issue because up until now we had a lot of can kicking and things didn’t change much on a daily basis. This is now not the case and your work is proberbly more important to many people now than you might ever realize. You’re the only writer I know that gives me all the analytical data as well as political, financial, and geopolitical info under one roof, in other words like the Swiss Army knife of reporting. Or maybe another option is to do Monday’s with Kerry and Fridays with Sean if he would be interested, and a podcast in between. This week alone, I taped Lutz on Monday and Butler on Tuesday. I’m taping Rick Wiles 30 minutes from now, SGT tomorrow, and Caravan to Midnight on Friday. Plus, my Audioblog tomorrow! And this isn’t even my RBN week, which I do every other week. I’m not sure I can do any more! I had no idea you were on so many other channels, I will endevor to catch your broadcasts on them in future. Once again… Thanks for your stirling work, much appreciated. I know what TBTF means, but what does TPTB mean? Back in October Harvey Organ came out with a claim that the SHSE was down to 81tons of Physical silver, at the previous rate of drawdown that would all be gone by December. Firstly: what is the current Inventory status? Second: last I had heard it had increased to 125 tons, while at the same time India declares that it had imported 1200 tons of silver. How the hell is this possible? Where is this supply coming from? Is there some kind of strategic reserve? Apparently according to the Wealth Watchman TPTB admitted to a strategic reserve of Platinum. If this is the case, then it may account for where the Gold and silver supply has been coming from all this time. There seem to be so many ambiguities about inventory that it is almost impossible to predict how long they can stretch this out. It has hovered around 100 tonnes for months, and now is about 150. But here’s the rub. Per what you suspect, it’s all BS! Just like the COMEX, LBMA, etc. I don’t believe a word the Chinese say – or anyone purporting to have PM inventories. And as for Platinum, why would you believe what they say? Moreover, what does platinum have to do with gold and silver? Don’t overthink it. It’s all lies. When demand inevitably overtakes supply, the game will be over – as will the fraudulent inventory numbers, of exchanges, governments, etc. I have had a quick look at the inventory through the link you sent, thanks for that. I know about LBMA and COMEX inventories, they haven’t moved for months, nor have they settled in Physical metal for nearly a year. But please indulge me for one minute. If the GLD, SLV, COMEX, LBMA, FED, BOE, inventories are all fake then where the hell is a constant supply coming from to feed the Chinese, Russian, and Indian demand? Russia and India seemed to have upped their game in recent months, but let’s for arguments sake say they are taking 100 tons each per month now. This would be 400 tons per month! 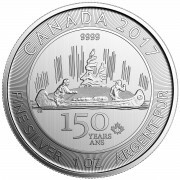 After the first 4-5 tier sovereign gold holding nations this is more per month than most of the rest of the countries on earth are holding! We have gold shops all over the city here, and they are all stuffed to the gunnels with stock. There is no shortage, and a asked recently if I were to purchase $2-300,000 worth of gold would there be a problem to supply? I was told categorically not, and I could have it next day. So there is obviously no squeeze on supply out here. And if this is the case why would a large buyer not just vacuum up this supply and not pay the huge premiums I’m reading so much about? So you see Andy, there is something seriously wrong with the apparent scarcity of supply and reality. 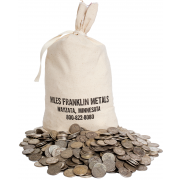 I have also purchased through my Singapore supplier and they are stuffed with inventory, over 100,000oz’s of silver In stock the last time I checked. Again no problem with supply, except Eagles and Maples, so your right, it is all BS, But it’s not just coming from TPTB. The only true “supply” source of actual physical is Western vaults, which are allowed to be double counted if leased. This is why everyone is scrambling to repatriate what still exists. Don’t spend too much time analyzing rigged numbers, it’s just not worth it. Heck, the CME has a disclaimer saying COMEX data may not be true!